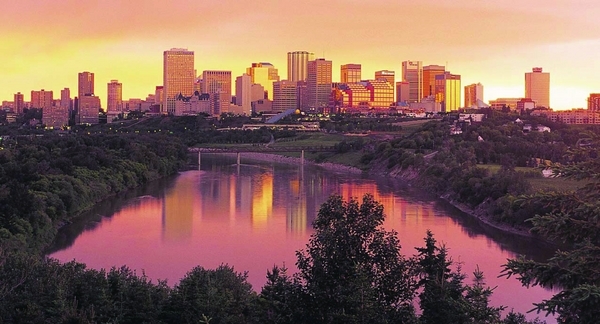 A city for all seasons, Edmonton is located in the valley of the North Saskatchewan River. The dramatic skyline features the majestic dome of the Alberta Legislature Building, the striking Canada Place Complex and the unique Shaw Convention Centre. The river valley is Edmonton’s most prominent physical characteristic. Development of the area has been carefully controlled to preserve its unspoiled natural beauty. 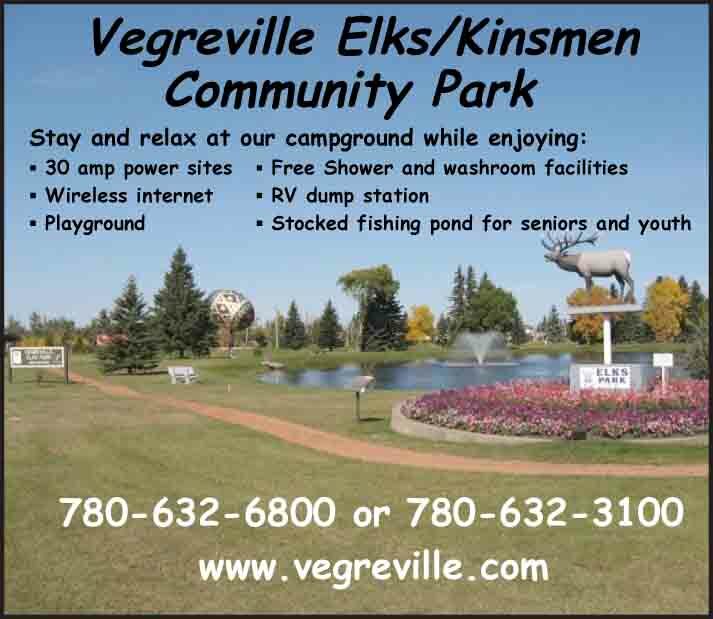 Parks throughout the river valley offer year-round recreational activities. Spring through autumn, you can hike or cycle through an extensive network of trails. During the winter months, these same trails accommodate snowshoe and cross-country ski enthusiasts. Other facilities throughout the city are available for golfing, swimming, horseback riding, tennis and skating. Known as Canada’s Festival City, Edmonton loves to celebrate. During Klondike Days every July, enjoy the gold rush fever of 1898 and during the Heritage Festival in August, join Edmontonians as they celebrate their ethnic origins. 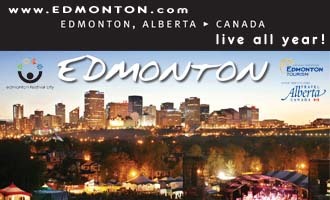 Music, theatre and the arts are celebrated with the Works Art & Design Festival, the Edmonton International Street Performers Festival, the Edmonton Folk Music Festival, Yardbird Jazz Festival and the acclaimed Edmonton International Fringe Theatre Festival. 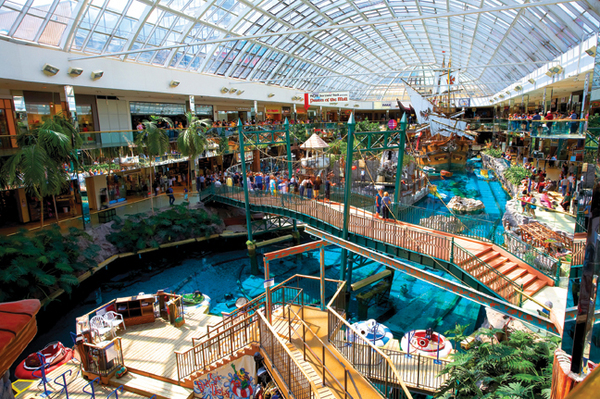 Greater Edmonton also has an abundance of exciting things to see and do. See the stars like you’ve never seen them before at the TELUS World of Science-Edmonton. 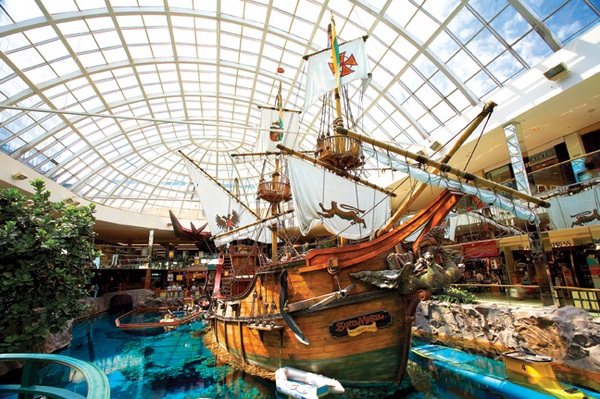 West Edmonton Mall, the Greatest Indoor Show on Earth, is world famous - it boasts more than 800 shops and services, the world’s largest indoor amusement park, the Ice Palace, World Waterpark, a casino and much more! Edmonton is a city of entertainment, especially during the winter months. Theatre thrives in Edmonton from September through May, with music and sports events throughout the year. The Edmonton region boasts over 60 art galleries. Museum and history buffs will delight in the Royal Alberta Museum, the Alberta Legislature Building, Fort Edmonton Park, Ukrainian Cultural Heritage Village and Rutherford House. Explore the Old Strathcona historic area, which ranks among Canada’s 10 best shopping districts.